Lash In Bloom is a lash extension service by BROWHAUS that gives you beautiful lashes that frame your eyes to make them appear larger and darker. It is a quick and effective way to emphasise your eyes, giving you a groomed and polished appearance. HOW SHOULD I PREPARE FOR LASH IN BLOOM? Arrive with clean, bare eyelashes without any make-up, including mascara. Eyelashes should not be permed or curled. If you have an eye infection or have recently undergone eye surgery or lasik, we recommend a minimum rest period of 2 months after your procedure before proceeding with Lash In Bloom. IS LASH IN BLOOM SAFE? Lash in Bloom lashes are carefully adhered close to your lash line using a gentle yet durable adhesive. We take the utmost care to ensure that there is minimum contact with the skin. Our top quality adhesive does not cause stinging to the eyes and nose. It has been specially formulated for BROWHAUS by our dedicated R&D team, who works tirelessly to ensure that our products and techniques are the best in the industry. We customise your lashes before the application of each lash tab. Depending on your needs and eye shape, our therapists will advise on the most suitable lash type for you. You can choose from having a Bold & Dramatic look, Defined look or Lush look with either Natural, Cat Eyes or Doll style. The lash extensions come in a variety of thickness, length and curl (not applicable to Cluster Lash In Bloom). HOW LONG DOES THE LASH IN BLOOM TAKE? WILL THE EYELASH EXTENSIONS CAUSE MY NATURAL LASHES TO DROP? With proper care and proper, professional treatment, you can enjoy lash extensions without fear of weakening your natural strands, so it’s important that you visit a reputable salon. At BROWHAUS, we use top quality lashes and a gentle adhesive coupled with highly skilled lash therapists, who undergo intensive training for 4 to 8 weeks at the highly reputable BROWHAUS Training School in Singapore. Lashes do fall out as part of its natural growth cycle. If you tug, rub or attempt to remove your lash extensions yourself, you can run the risk of breaking the ends of your natural lashes. Always have your lash extensions removed by BROWHAUS therapists. HOW PAINLESS IS THE PROCESS? ARE THERE ANY SIDE EFFECTS? It is generally a painless procedure. For customers who are undergoing eyelash extensions for the first time, you might feel a little discomfort during the first 3 days. This is especially the case for cluster lashes as they are generally harder in texture as compared to single lashes. HOW OFTEN SHOULD I GET A TOUCH-UP? 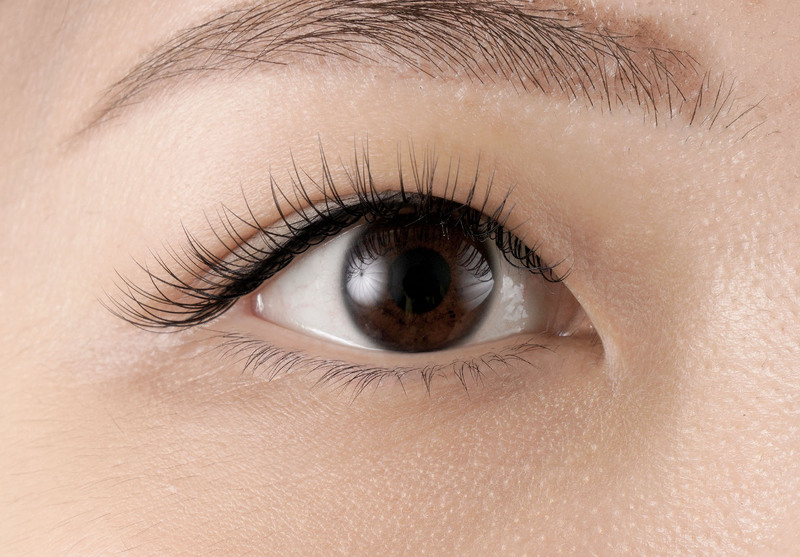 We recommend a touch-up about 2 to 3 weeks after getting your eyelash extensions. Your natural eyelash growth cycle causes your eyelash to fall out every 45 to 60 days, so touch-ups involve filling eyelashes into gaps where your own eyelashes have fallen. HOW LONG WILL LASH IN BLOOM LAST AND HOW DO I MAINTAIN IT? On average, Lash In Bloom can last between 3 and 6 weeks depending on the growth rate of your natural eyelashes. The duration differs with every individual. We advise reapplying a new set of eyelash extensions after 4 to 6 weeks. We also advise that you let their lashes rest for a couple of weeks in between the removal and application of a new set of lashes. CAN I STILL WEAR EYE MAKE-UP AFTER LASH IN BLOOM? Thanks for signing up for your Browhaus 50% off Microblading promo!. Please call us at 212-431-1124 for booking your appointment.